There are 1 cat videos tagged with scratch. 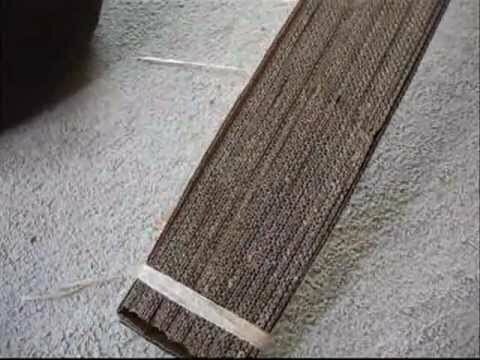 How to Make a Cat Scratcher for FREE!! How to make a cat scratching post using recycled materials you most likely have laying around your house. For FREE!! I dunno about you but I just don't like the thought of spending $10-15 for some cardboard and the way MrMan goes through these, I had to start making my own. I'm 'thrifty' (read: cheap) like that. Music is 'Gently' by Dan O'Connor (danosongs.com).